A popular sit up bench for firming and shaping the abdominal, back, chest, arm and hip muscles. Get your gym at home and streamline your figure with only a few minutes of training per day. With multiple adjustments the We R Sports Sit up bench allows you to focus on many muscle groups. FULL BODY EXERCISE :The multifunctional machine can help you perform a variety of fitness exercises to tone and strengthen your core, chest, arms, legs,abs and thigh with an adjustable back pad. It will be a good trainer for you to exercise effectively within a short time. HEAVY DUTY DURABLE FRAMEWORK :The framework of weight bench adapts 2mm thickness steel tube that guaranteed to withstand a weight of 500 lbs,Strong powder coated solid steel 1.5mm thickness guarantee great durability, which provides stability and safety for your exercise. 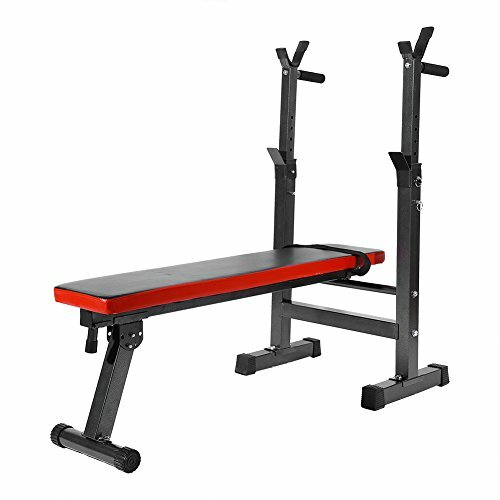 SUITABLE FOR :Home fitness bench Ideal for home gym, personal training or outdoor cross fit training,The adjustable utility bench ideal for dumbbell exercises and lets you perform a variety of fitness exercises to tone and strengthen your core.